Joe Parris is a reporter at KTVB in Boise, Idaho. 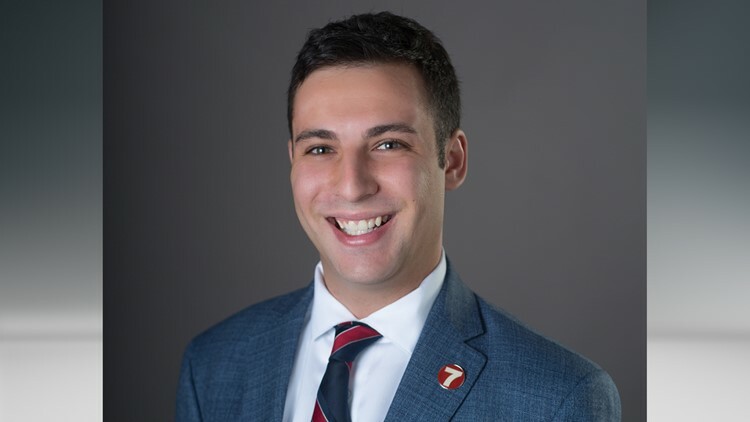 Joe Parris joined Idaho’s News Channel 7 after graduating from the University of Colorado in Boulder in May 2016. Joe is an award winning broadcaster who truly loves being a journalist and telling compelling stories. He won a 2016 Heartland Emmy Award for his reporting and was named the University of Colorado’s 2016 “Outstanding Student” in the College of Media, Communication, and Information for his performance in academics as well as extracurricular activities. During college Joe reported and anchored for CU’s news program, “News Team Boulder” as well as the school sports show “CU Sports Mag,” which airs on Fox College Sports. He has also freelanced with ABC News on regional stories as a field producer. Joe was the News and Sports Director at Radio 1190 in Boulder for three years, hosting several weekly news, sports, and entertainment shows. When he isn’t hanging out with Doug Petcash, Maggie O’Mara, and Larry Gebert on Today's Morning News, Joe can be found outside exploring the City of Trees. He thinks that nature is really neat and loves animals, he would honestly love a pet monkey if the State of Idaho would allow it. If you see Joe out and about say hello, he loves meeting new people! Have a story? Joe loves your story ideas! E-mail him at jparris@ktvb.com or follow him on Twitter and Facebook.